Clark Architects Collaborative was commissioned in 2016 to renovate the existing fraternity house and design an addition that preserved the historic character of the existing building and fit into the context of the adjacent Greek houses. 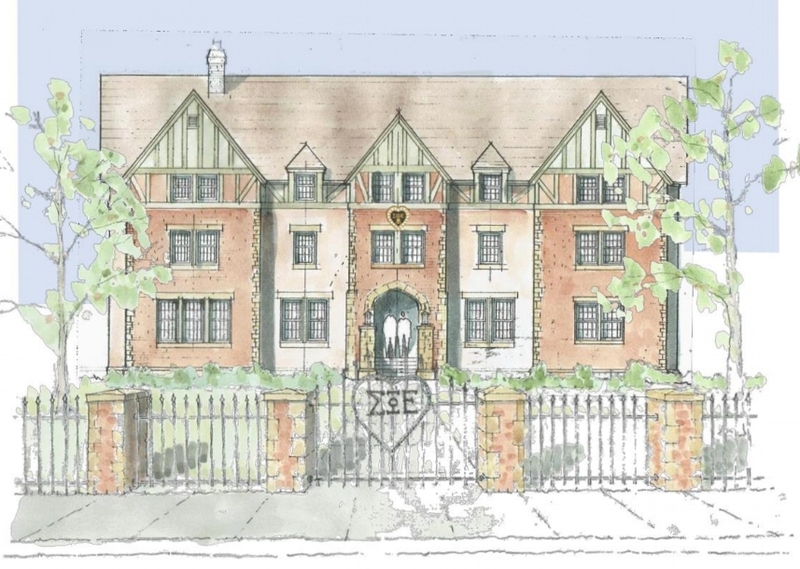 Sigma Phi Epsilon wished to increase capacity of students, add study areas, and compete with new university housing and off-campus apartments. A challenge to the design team was to accurately locate and avoid the university steam tunnel that ran beneath the site. The renovation/addition is slated for completion in early summer 2018. Click here to follow the construction progress.